“Does something really work over the long run?” — that’s the big question we strive to answer. We’re proud of the value that SP proprietary indicators, tools and weekly market analysis bring to our customers. We are proud to be the first to find important, but still largely unknown relations, that influence gold prices, such as the one combining seasonal tendencies with expirations of derivatives. We understand that quality doesn’t come cheap. We spend many, many months on research and development of each of our tools — and we leave nothing behind, we give our best to you. That’s why, as our valued customer, you can be confident: what you get from us is always of greatest quality, usefulness and profitability. Gold & Silver Investment Methodology: What’s It All About? In each and every Premium Update (PU) we present a clean-cut suggestion to buy, sell or hold metals, which suggestion you will be usually able to find in the Summary of the PU. In one glance you are able to take in our opinion on the subject of the possible direction the market will move both in the short-term and in the long-term. The reasoning behind such a suggestion is laid out in the PU and it stems from thorough research we conduct on a regular basis. Even though it is not obvious for the Reader, the provided explanations are a result of a time-consuming process of carefully narrowing down available information linked with metals to the most important factors that might influence the prices in the future. In this text we would like to outline a journey we make on daily basis – from the general look at the markets to concrete investment suggestions. 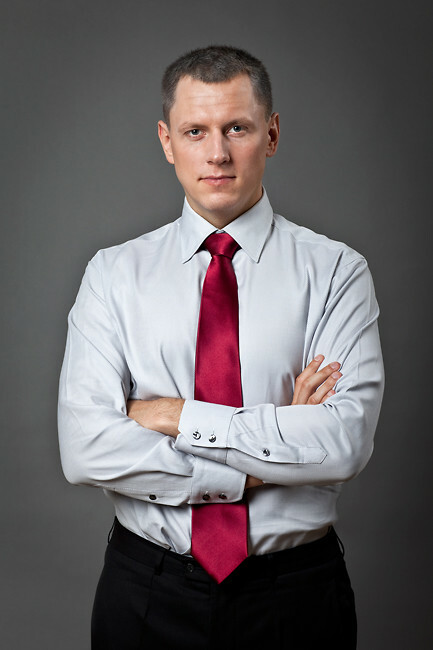 Sunshine Profits was founded in 2008 by a financial scientist and successful investor, Przemysław Radomski, CFA (PR) as a response to the lack of quality guidance for precious metals investors, especially when it comes to timing volatile markets. As a CFA charterholder, PR shares the highest standards of ethics, education, and professional excellence for the ultimate benefit of society. He also holds a master’s degree in Finance and Banking, and is currently writing his thesis after having finished his PhD studies in Economics. Being passionately curious about the market’s behavior, PR uses his statistical and financial background to question the common views and profit on the misconceptions. His time is divided mainly between analyzing various markets with emphasis on the precious metals, managing his own portfolio, writing commentaries, and designing financial software. PR invested his time and effort into building a world-class team of analysts for performing research, finding correlations and investigating historical patterns — so that you, the customer, can focus on effectively growing your portfolio. PR is the author of Sunshine Profits’ Gold & Silver Trading Alerts and many of company’s investment tools. Timing has been pretty good lately, picking the top of the dollar rally and bottom in gold (maybe). Good technical analysis and timing alerts for traders. per year. is this true and what do I get? Przemyslaw seems to be always off the mark. He recommended shorting gold back in December when gold was at its lowest ($1030)in his newsletter. He couldn’t face the fact that he got it wrong, he rather moved stop loss levels and extended losses by sticking to a wrong idea. I have been following them for a few months, but they did not even have good moments. He started to short gold when it already reached its bottom and he still sticks to it no matter what happens. He does not seem to have any understanding of the market. The market contradicts his technical analysis every day. Every trader is as good as his results. I have been following sunshineprofits for over a month, but so far they have never gotten anything right on gold. They see bearish signs everyday, while gold is up everyday. Their technical analysis is just totally wrong. Can’t recommend to anyone. Seems he lacks experience in real trading, he just writes technical stuff and looks at only those things that substantiate his position and dismisses those that go against it. It is a huge flaw for a trader. He makes bad calls, bad timing, then he pulls out stops and make losses bigger for his clients. He can’t understand risk/reward prospects. Grossly overpriced technical analysis that only considers info that fits his preconceived idea of what is happening. In other words, he writes according to his emotional belief, not what is actually happening. He had his subscribers short during all of last year’s rally, and so far short since the December 2016 lows. Moreover, his other features on his site only work sparodically. Do not waste your money! He has fixations, not trading ideas. He provides only information that supports his fixations and not analysis. He is oblivious of what is happening in the market. His newsletter is just a waste of money. It is not an accident that he does not trade his own ideas; he would be long broken till now. Shorted all rallies so far. He has got married to the idea that gold is going to at least as low as $1,000 and refuses to concede that he could be wrong. He was short from early 2016 all the way to the top in gold. When gold started to drop in the Fall, he was finally right. When the RSI of gold stocks was at the extremely low levels of typical bottoms, he just stayed short. He refuses to publish on his website his 2016 performance data as it is so terrible. He only shows 2014 and 2015 data when he made some good trades. I will not be renewing my subscription this Spring. He usually screws up short term trades, then he makes them into long term ones. Of course he has to lie about short term signs as the market goes in different direction and he can not concede that he is wrong. He is a DP. Don’t fall for him. Stay away from his sight! He refused to say anything about his previous work experience. He puts you into a long term position that he promotes as a short term trade beforehand. Then, he sends you distorted information every day that intends to hide what is really going on in the market. When asking him about what he really thinks of the market he said that he can provide consultancy for $400 per hour. He is a waste of money. It is a shady operation. They indicate US address, but they are all located in Poland and their company is registered offshore They seem to focus on collecting money with an overpriced newsletter and provide crappy analysis that takes no notice of reality. Do not get fooled by them! Sadly, none of these reviews were available to me earlier as I would have saved myself a lot of money. I joined them in November 2016 and had immense success following their tips. So much so that I had a firm belief that this man was some sort of God and when he advised to sell at the bottom of the market, I did as he said. Not only that, I continued to stick with him and removed all stop losses etc, trading against the market with the full false confidence that they knew what they were doing. It was then that I took to looking into their historic calls and found that the only thing they ever say is to ‘short’ the market regardless of what was going on. Even a broken clock is right twice a day and our paths crossed when they were right. It was a hell of a ride though in the beginning when, by pure chance (cause the guy really doesn’t know ANYTHING at all about the market) I made tons of money. Sadly, it is now all gone and in trying to claw some of it back I have ended up gaining more knowledge of the market than they ever have. I have lost a ton of money following their blind gold short. 9 months later most of my speculative capital is gone. Occasionally, they will flip positions for a day or two to “reset” their point of view. Then, they will reopen a new short / long position and track results from that date forward. It’s the perfect way to dupe new subscribers since they no longer have to be accountable for the previous losses. They will then keep reiterating when the “new” position was open. It’s a total farce. Run far away from “Sunshine Losses”. I have been following the newsletter for a little over a year and am happy with the opinions posted. Their calls are clear and they stick to their opinion. Views dont change everyday. They have a contrarian view on Gold that I think is well founded – I did make a ton of money on the earlier calls, so am very happy with their calls. 4 out of 5 for weak H1 2017, but I’m still way ahead of the market over the long run. Have learned a great deal about gold and miners through them. He does have great analysis skills and I think he’ll do well in an up-moving market, but from my experience with him, well, most of my discretionary money is gone. Oftentimes I’d miss the “buy or sell point” even though my phone picked up a recommendation within minutes of his sending it. Those few minutes meant his numbers looked great on paper (and maybe in reality, as he timed the move) but for me, the gain was a fraction, or I missed the boat totally. Simply not worth the $500/year (and repeatedly buy this, buy that). Very disappointed.